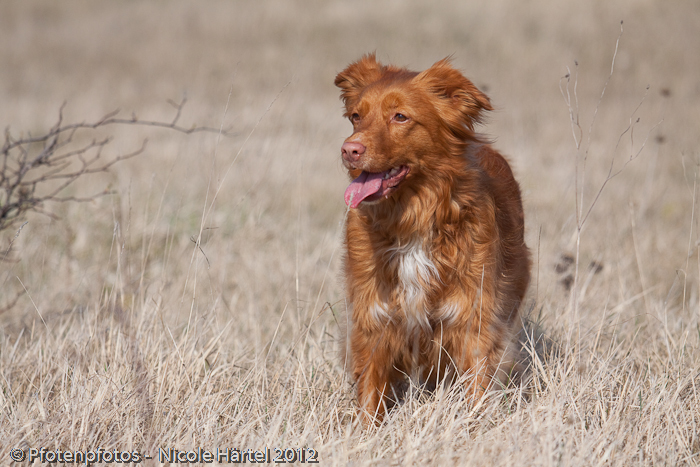 Jola – My first Toller, planned as a puppy, but then life just happend and so Jola moved in with 2 1/2 years in Novemer 2008. In 2006 I found the breed while looking for a fitting dog for my plans: I wanted to do Agility and so I was looking for an active dog that would have fun with running and jumping. 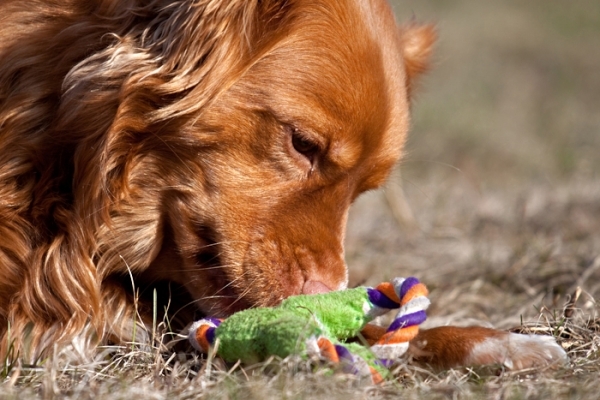 I also was interested in other dog activities, so the Toller seemed the perfect match. 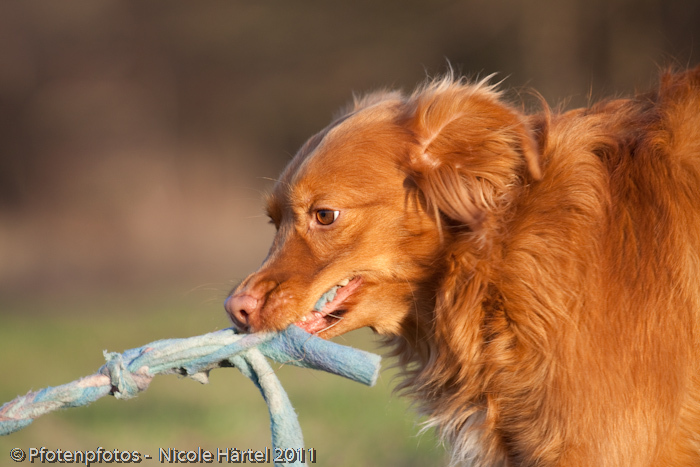 Since meeting my first Toller, I knew, that this was my breed. Looking for the right breeder – and check! But then due to various reasons I couldn’t get a puppy from her first litter. I wanted to wait for the next one, but then Jola came along. 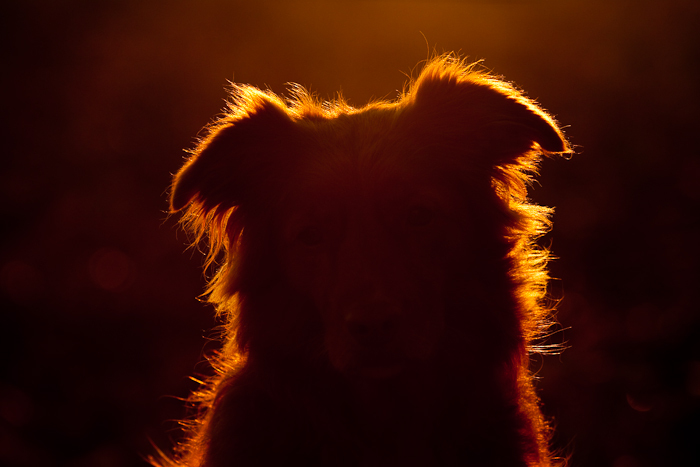 I heard about her as an aggressive toller, which had bitten its owner. Oh dear… Did I really want a difficult dog? Well, I didn’t stop thinking about her and so we went to meet her – and took her along! With us, she never showed bad aggression, she was just a very anxious dog that never learned how to cope with difficult situations. At first, she was really scared from close to everything. That changed with a lot of training and good experiences and now she likes to stand in the center of actions and really likes all people (with the exeption of small children). And she was very sensitive with loud noises – thanks to being deaf now, not a problem any more!